So, you added a long-lost friend you remember fondly from high school, but they’re peppering your news feed with random links about their favorite TV shows, silly cat photos, and endless snapshots of their kids. It’s not that you want to slam the door on all their updates, mind you—just, well, most of them. Here’s a quick, relatively painless solution: add your too-chatty friend to your Acquaintances list. Once you do, Facebook will pare down the number of news feed updates you receive from them to a bare minimum. For example, you might still get notified that a far-flung Facebook acquaintance got married or landed a new job, but you’ll get sweet relief from the daily kitty snapshots. Oh, and don’t worry: your friend will never know that you relegated them to your Acquaintance list. Hover your mouse over their name on their timeline or in your news feed. 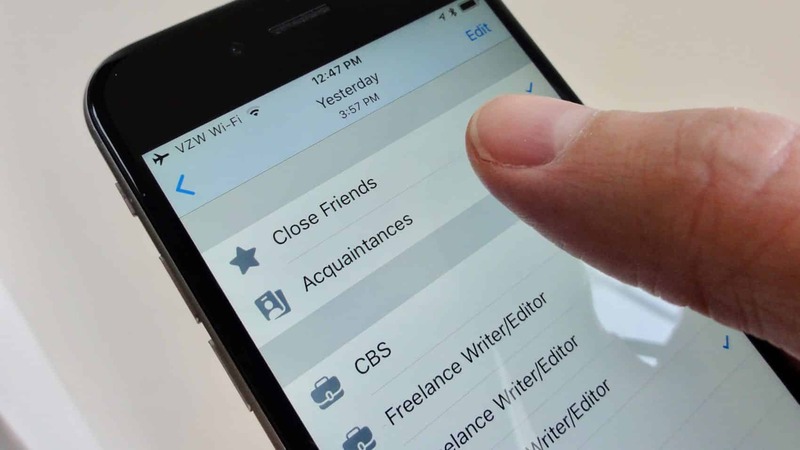 Tap the name of a friend in your news feed, tap the Friends button, then tap Edit Friends Lists. Tap Acquaintances, then tap Done. Bonus tip: To hide a post of your own from the folks on your Acquaintances list, choose the “Friends except…” option from the audience selector (the pull-down menu that sits right next to the Post button). When you select “Friends except,” you’ll see a big list of all your friends, as well as a search field; type “Acquaintances” to select your entire Acquaintances list. Here’s another scenario: you have a pal who won’t stop with the links to depressing news stories, the “I hate my job” updates, the bitter political rants, and the off-color, not-so-funny jokes. You’re not quite ready to unfriend your bummer of a buddy, but you need a break from seeing their name in your Facebook news feed. Well, guess what: you can completely block updates from that downer of a friend in just a few clicks. Click or tap the three-dot menu button in the top-right corner of a friend’s post; doing so will open a pop-up menu with a series of options. 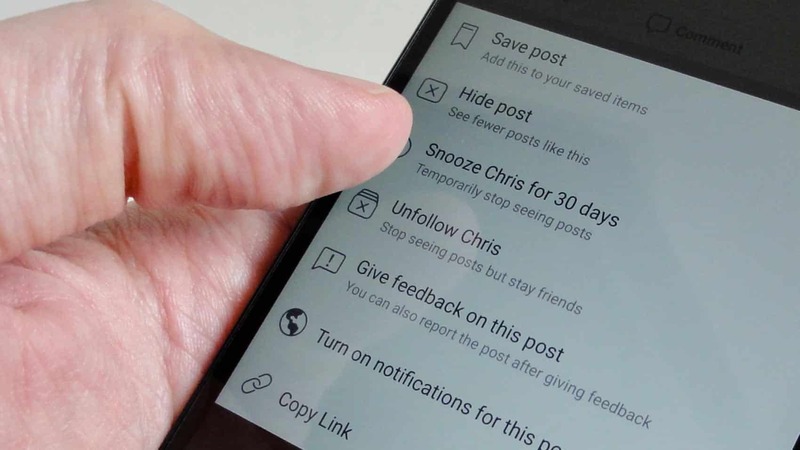 To permanently block the friend’s posts from your news feed, click or tap “Unfollow [name of friend].” Don’t worry—you can always follow an annoying friend again if you change your mind. Last but not least, enjoy the silence. Bonus tip: You can unfollow whole batches of friends using the Facebook app for Android and iOS. Tap the More button (in the bottom-right corner of the screen for iOS, or the top-right corner for Android), scroll down and tap News Feed Preferences (on Android) or Settings and then News Feed Preferences (on iOS), tap “Unfollow people to hide their posts,” then start tapping faces. Say you foolishly added your conniving boss as a Facebook friend your first week on the job … and now you’re regretting it. You’re thinking twice about every photo upload and every update you post, but unfriending your boss isn’t an option. What to do? 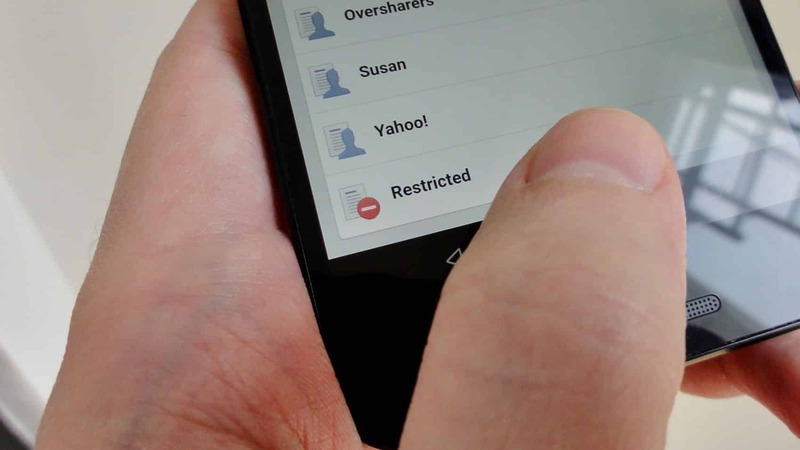 Try this: put him or her on your Facebook “Restricted” list—a “friend list” for friends and frenemies who you’re this close to unfriending. Hover your mouse over their name in your news feed or on their timeline, wait for the pop-up window to appear, then click the Friends button. Scroll all the way down, then click Restricted. 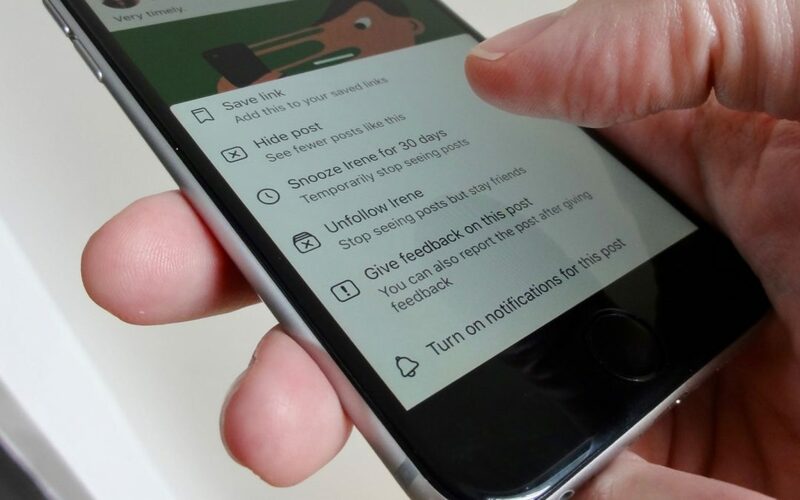 Tap a friend’s name in your friends list or on a post of theirs in your News Feed, tap the Friends button, then tap Take a Break. Under the Limit What [name of friend] Will See section, tap See Options, then tap “Hide your posts from [name of friend].” Doing so will put the friend on your Restricted list. Tap a friend’s name in your friends list or on a post of theirs in your News Feed, tap the Friends button, then tap Edit Friend List. Scroll all the way down, then tap Restricted. Bonus tip: Want to see a list of all the friends whose posts you’ve blocked from your news feed? Go to your news feed, hover your mouse over the News Feed link in the top-left corner of the page, click the little gear icon, then click Edit Preferences. A pop-up window should appear with lists of friends who you’ve seen the most in the past week, along with a second list of unfollowed friends. Change your mind of any of them? Just click the “+ Follow” button next to a name. Note: This article was originally published in February 2013, and has been updated and expanded to account for Facebook’s ever-changing privacy and sharing settings.